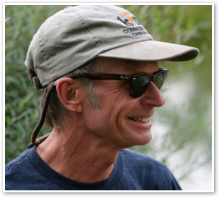 Bios - eco systems design, inc.
Jerome Osentowski is the founder and director of the Central Rocky Mountain Permaculture Institute in Basalt, CO (7200’). His half-acre demonstration site began as a successful commercial market garden operation. It has evolved into a series of greenhouses and a permanent forest garden, characterized by a complex integration of perennial edibles, fruit and nitrogen fixing trees, medicinal herbs, and annual vegetables, where he teaches a series of permaculture workshops and certified design courses each year. In 2015, Jerome's book, "The Forest Garden Greenhouse" was published by Chelsea Green Publishing. 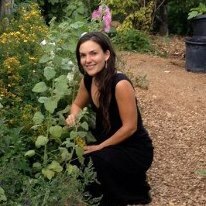 Stephanie Syson is a permaculture designer, educator and herbalist. She has worked with permaculture farms in a variety of climates and is practicing and teaching permaculture, greenhouse management, Integrated Pest Management, herbalism, seed saving and other sustainable agriculture methods. Stephanie has a passion for public projects and has spearheaded local initiatives such as the Basalt Regional Seed Library and is currently working on the Basalt Food Garden, a public park that is currently being transformed into an edible food forest and seed saving demonstration site. 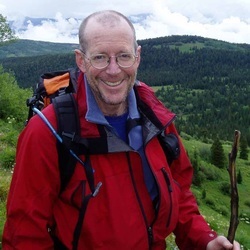 Michael Thompson is a Colorado-licensed architect, with 30 years of experience designing buildings in the high Rocky Mountains. His passion for design is focused on land planning in concert with Nature, and on energy productive buildings, including greenhouses for growing food year-round in cold climates, as well as passive and active solar buildings. Michael is also driven by passions for the arts of home brewing, cooking, gardening and fruit tree management. Mark Krawczyk lives in Burlington, Vermont. He has been involved with Permaculture design for over a decade. Professionally, he works as a Keyline and Permaculture designer, furniture maker, natural builder (plastering, cob and straw bale construction), educator and stonemason. He owns and operates Keyline Vermont LLC, focused on consulting and design for North American farms and international development projects. 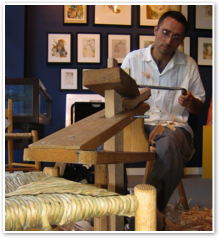 His woodworking and craft business is called RivenWoodCrafts.